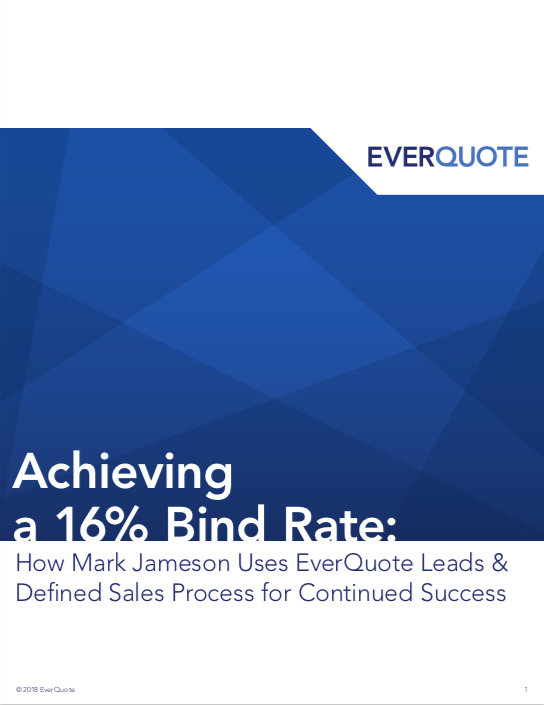 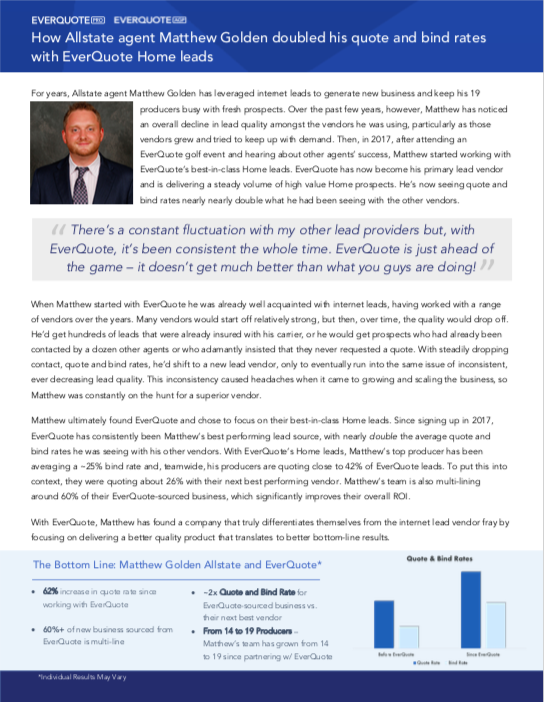 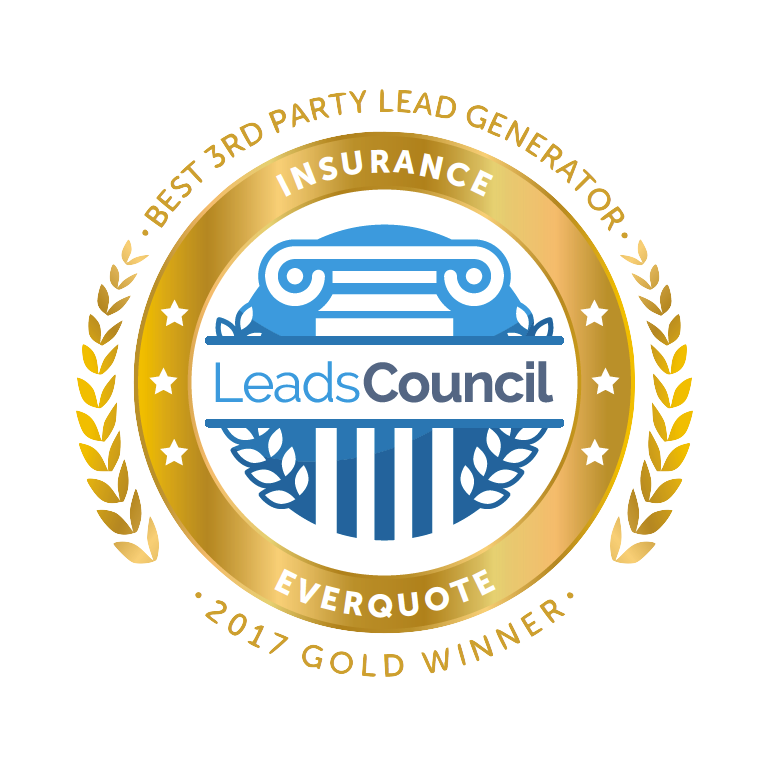 Allstate agent Matthew Golden shares how he increased his average quote & bind rates by over 50% partnering with EverQuote's Accelerated Growth Program. 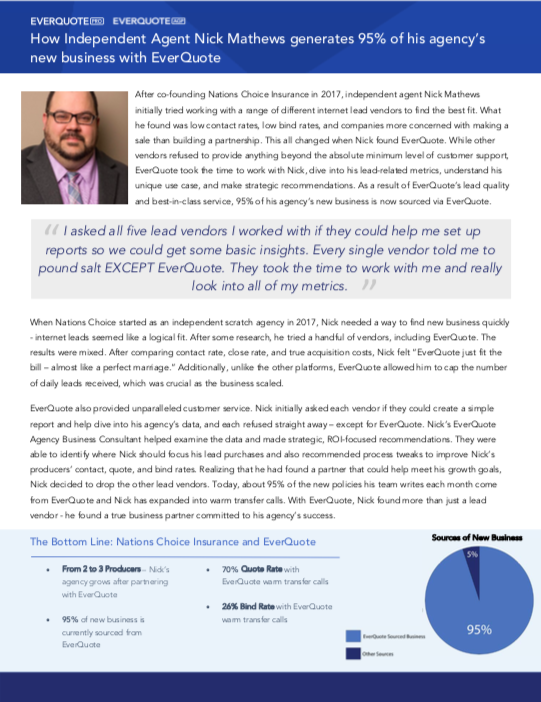 Learn how top Independent agent Nick Mathews is able to source 95% of his new business from EverQuote's best-in-class insurance leads. 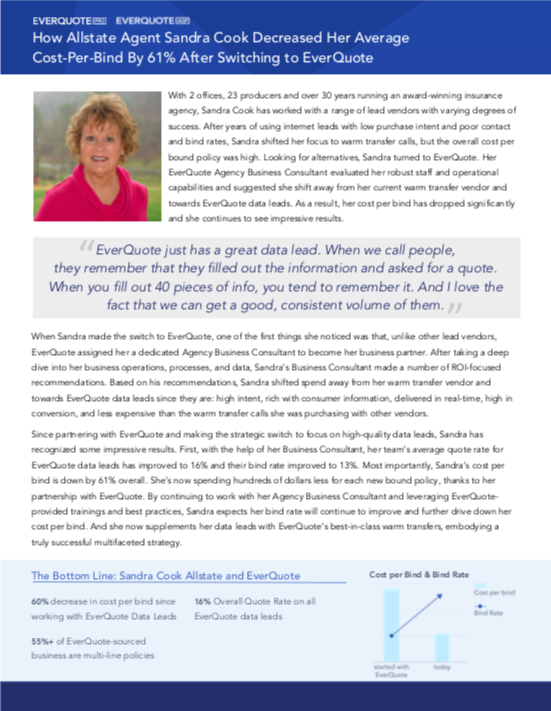 Learn how top Allstate agent Sandra Cook was able to decrease her average cost-per-bind by over 60% using EverQuote's best-in-class insurance leads and working with her dedicated EverQuote Agency Business Consultant. Most agents aren’t leveraging text and email messaging to their full potential—are you missing out, too? 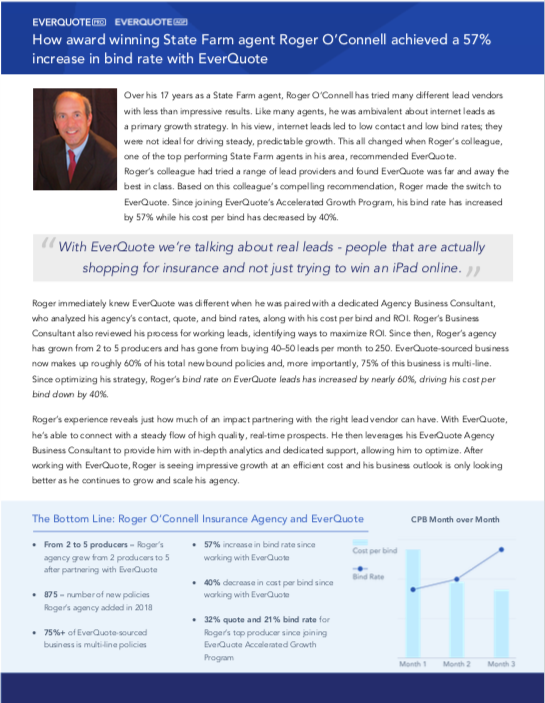 Learn how top State Farm agent Roger O'Connell leveraged EverQuote's best-in-class insurance leads and dedicated customer service to decrease his cost-per-bind by 40% and increase his bind rate by nearly 60%. Learn about top Farmers agent John Heep's experience with EverQuote's insurance lead offerings and how they helped him grow his scratch agency to nearly 5k policies in force by delivering him high retaining multi-line business. 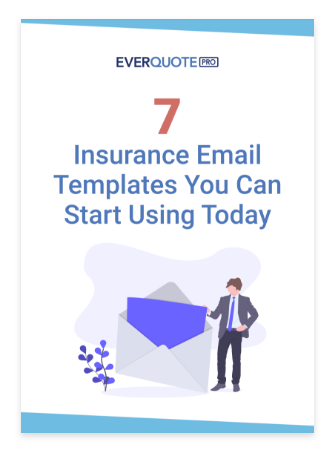 Save time and stay consistent with seven proven email templates you and your team can use in every step of the sales process. 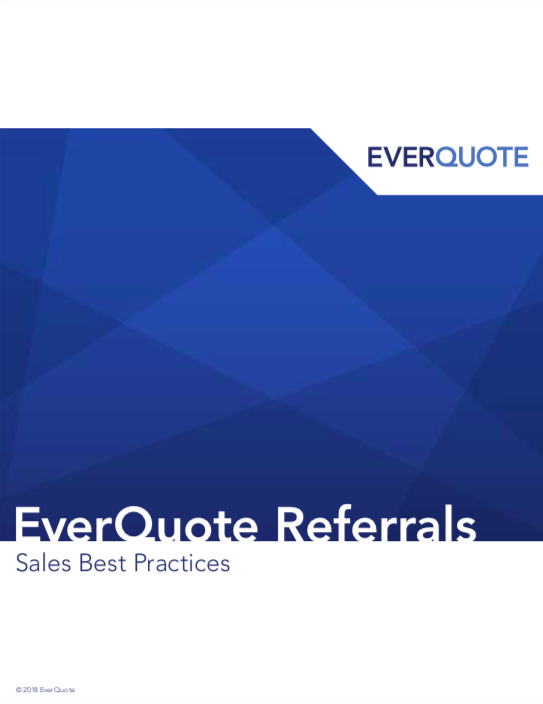 Do you use EverQuote leads or warm transfers? 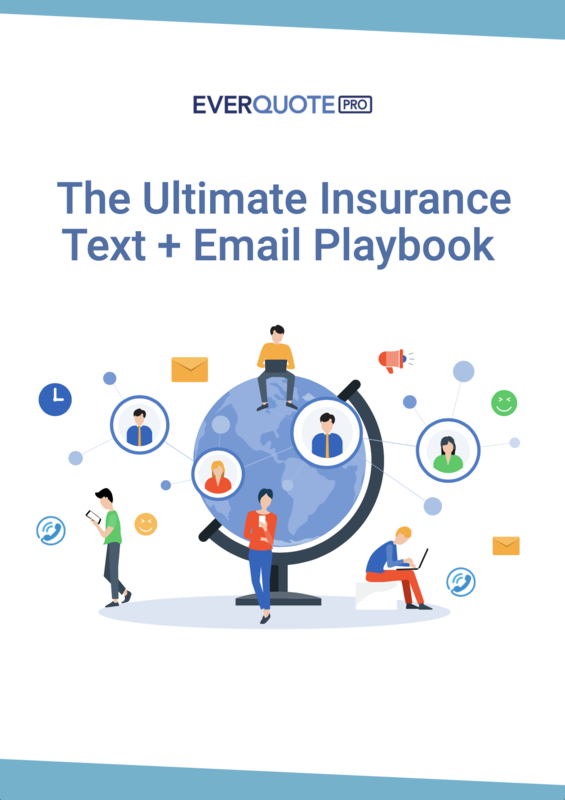 Use our new guide to help align your sales processes with what the data shows are the most effective ways to work inbound insurance leads and warm transfer calls.